Bonded Washer Seals are also known as Dowty Seals or Dowty Bonded Washers are high pressure seals typically used in the Mechanical, Hydraulic and Pneumatic applications. 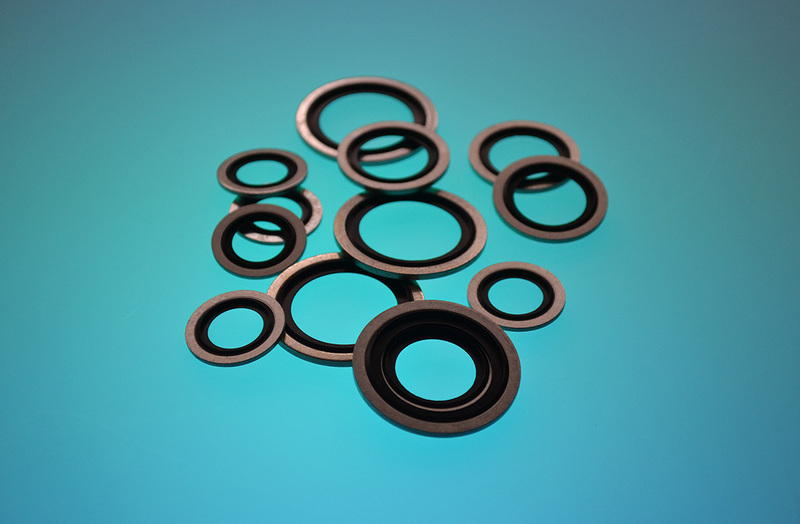 Bonded Washer Seals were originally designed to replace copper type washers used in high-pressure systems. They consist of a metal washer and an elastomeric ring bonded inside the diameter. The metal washer prevents over-compression and limits deformation of the elastomeric ring. Our bonded washers consist of a metal rectangular outer washer with a trapezoid shaped rubber ring bonded to the inner of the ring creating a 1-piece washer with an internal seal. Bonded washers hold a large amount of burst pressure whilst retaining the inner seal shape and limiting deformation resulting in brilliant sealing under high pressures. The thermal properties of the bonded washer seals will depend on the specific grade of compound used, please consult compound data sheets or contact a member of our Technical or Relationship Management Teams to discuss a potential project or application in greater detail.